YOUR CAR CALLED. IT WANTS THE GOOD STUFF. 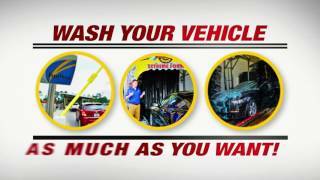 The express car wash is a fast and economic way to get a great wash without having to leave your vehicle. 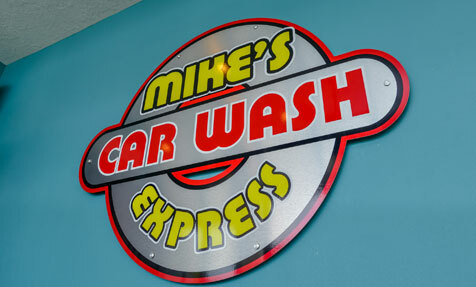 The express wash does just as good a job as many of the “Full Service Hand Washes,” but in a fraction of the time and cost. Plus, the vacuums are free, and there is no time limit. "Can You Wash My Vehicle?" Absolutely. 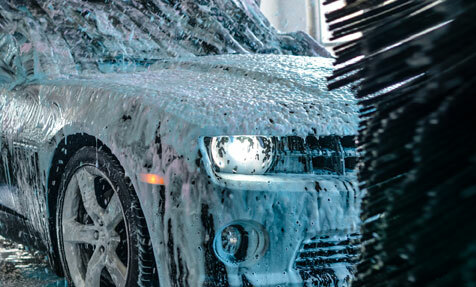 While we do have certain restrictions on what we can and can’t safely wash, we’ve worked hard at providing our customers with the best car wash technology available to give them a clean, dry, shiny vehicle, and the peace of mind that their vehicle will not be harmed in any way in the process. 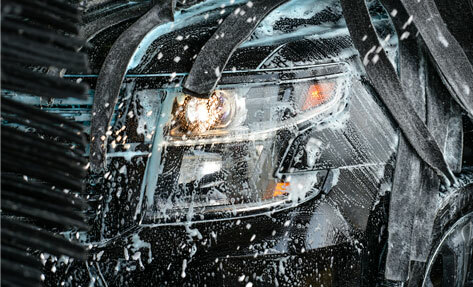 In fact, in many ways, washing your vehicle at Mike’s is safer than washing it at home by hand. 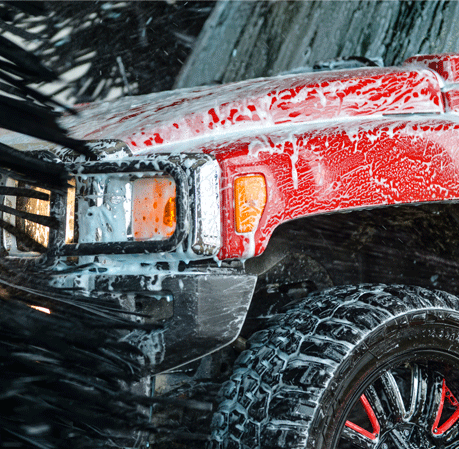 Vehicles we can’t wash include extended height full size vans, trucks with dual rear tires, full size Hummers, open bed pickup trucks with debris, tools, or any other loose materials, 1965-69 Cadillacs, trucks/vans with ladders, and vehicles with dual prong or spring mirrors. We are not responsible for any antennas. We believe that Oil and Water Do Mix! That’s why we not only offer the best Car Wash in town, we make sure that your vehicle service experience is fast and friendly. We use the manufacturer’s recommendation when it comes to flushing or changing out your transmission fluid. We use the manufacturer’s recommendation when it comes to flushing or changing out your vehicles coolant. Mike’s Express carries a wide variety of Fuel Filters for our customers. The frequency of changing a Fuel filter all depends on the vehicle you drive, gas/ diesel and the fuel you use. 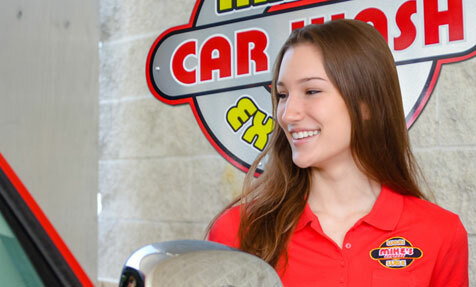 it could vary from every other oil change to once every 25,000 miles. New Rain‑X® Latitude® Water Repellency wiper blades deliver the proven wipe quality of Rain‑X®Latitude® blades, now with water repellency benefits for even better driving visibility! Mike’s Express carries a wide variety of air Filters for our customers. The frequency of changing an air filter all depends on the vehicle you drive, gas/ diesel and the driving conditions you drive in.. it could vary from every other oil change to once a year.